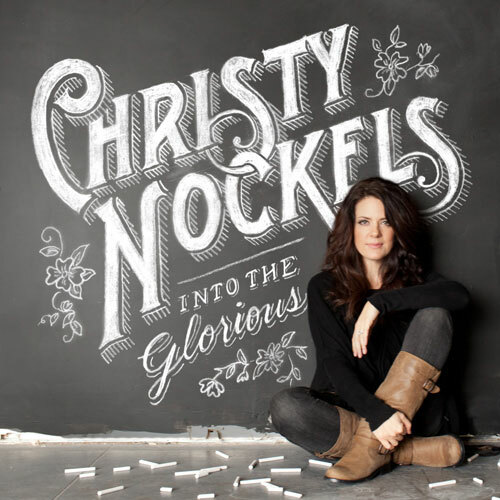 Leading female worship leader Christy Nockels has released her new album 'Into The Glorious'. This twelve-song album was produced by Christy's husband Nathan Nockels (Laura Story, Passion, Matt Redman). Read More Leading female worship leader Christy Nockels has released her new album 'Into The Glorious'. This twelve-song album was produced by Christy's husband Nathan Nockels (Laura Story, Passion, Matt Redman). For me personally some of the best songs on the 'White Flag' album were written and sung by Christy, so I'm very excited about this album and it seems her record company are as well. They say "Christy's new album finds her progressing from her acclaimed solo album 'Life Light Up', and showcases a more textured and rhythmic acoustic sound",. I can really see what they mean. I'll say it now and get it out of this way, this worship album is truly stunning. A folk-clap beating guitar and drum song gets this album going on opening track Ever Lifting, with cleverly placed "ohh ohh's". This song mixes together pop worship music with some clever folk sounding guitars to make a happy positive song that will get you smiling. The album quickly moves away from the happy sounding tones for a stripped down song titled For Your Splendor. This shows how great a songsmith and singer Christy is, with her voice and tone sounding so beautiful in this heartfelt ballad. Wonderful continues the heartfelt worship ballads, this piano led song is even more touching with the words talking about Jesus and His beauty. Christy sings "Cause you are wonderful... you are so wonderful... Jesus you are magnificent". There are some great worship songs on this album, all featuring deep thinking in a ballad style of music, but what lifts these songs along is firstly the depth and beauty of Christy's vocals, and also her use of chords in the music making each song sound interesting with creativity. This comes over in songs such as Be Loved and Waiting Here For You. Talking of Waiting For You, I don't think I have heard a better worship song in a long long time. I could go on about each track on this album, yet the overall view of it is that musically this album is of the slower tempo genre with infused worship lyrics. These big ballads are sung with passion and desire to see Jesus being declared as the King of kings. So if you're looking for from-the-heart worship, no matter if you're male or female, young or old, then this new album from Christy is one of the most beautiful twelve track albums that you will find this year.